We are a well established, friendly family business providing a range of garage services, such as MOT testing and car servicing, clutches, brakes, tyres, exhausts and batteries. All aspects of vehicle body repairs and used car sales in Salford, Manchester. 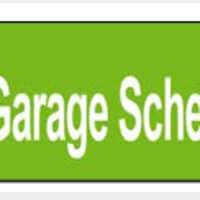 Established in 1978, we have 36 years experience in all aspects of garage services and car repairs. Our Salford based MOT Service Centre is well equipped to deal with all MOTs and repairs. Our team of seven qualified and experienced mechanics are always on hand to answer any questions you have about our work. TRY OUR NEW NITROGEN FILLED TYRES (PROVEN TO IMPROVE MPG AND TYRE WEAR). BUY 4 TYRES AND WE WILL FILL THEM WITH NITROGEN FOR FREE. Lightoaks Garage, Salford are committed to maintaining the highest levels of customer service. All of our customers receive a personal service that is second to none. So, for MOTs, clutch repairs, tyres, exhausts, batteries, car repairs and car sales - come to Lightoaks Garage in Salford, Manchester . AT LIGHTOAKS WE UNDERTAKE ALL TYPES OF SERVICING AND REPAIRS ON ALL TYPES OF VEHICLES NO MATTER WHAT AGE THE VEHICLE IS. WE ALWAYS TRY TO OFFER SAME DAY SERVICING AND WE WILL CONTACT YOU IF ANY FURTHER REPAIRS ARE REQUIRED AT THE TIME OF THE SERVICE. THIS GIVES YOU THE OPPORTUNITY TO HAVE YOUR VEHICLE BACK AND READY FOR THE ROAD AGAIN NO MATTER WHAT FAULTS WE FIND ON THE SERVICE. WE CAN ALSO OFFER OUR CUSTOMERS A COURTESY CAR IF ANY MAJOR REPAIRS ARE NEEDED WHEN A VEHICLE MIGHT BE WITH US OVERNIGHT OR EVEN LONGER. PLEASE DO NOT HESITATE TO CONTACT US NO MATTER YOUR VEHICLE NEEDS ARE. TYRES . EXHAUSTS . TIMING BELTS . CLUTCHES . DIAGNOSTICS . MOT . SERVICING . RADIO CODE RETRIEVAL . NITROGEN FILLED TYRES.